A friend of mine has a Kickstarter up for a comic called Dragons & Warriors. While that is not necessarily the sort of thing we talk about here at Chalgyr's Game Room - there is a future card game tie-in. So, if this and that future Kickstarter prove to be successful, we plan on talking about the game when it releases. Here is some information about this Kickstarter which went live yesterday. Your adventure starts here! Read the mini-series that brings you into the world of Dragons and Warriors! 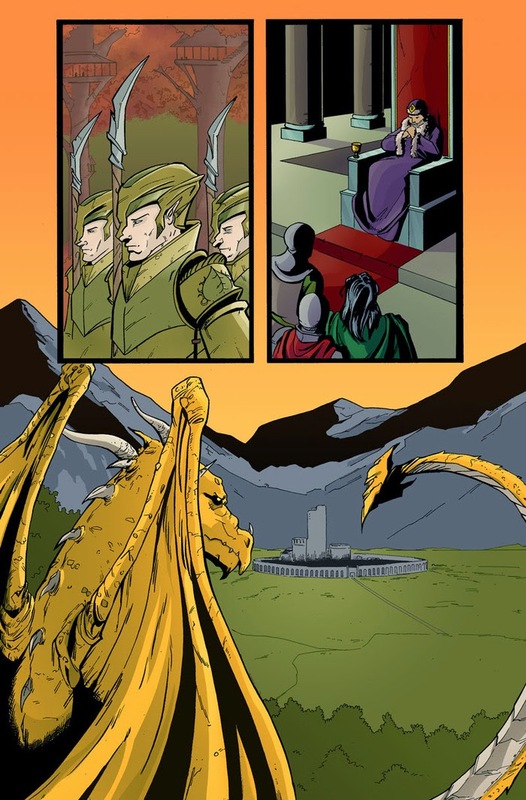 Dragons and Warriors #1 is a 22-page comic book, based on a world called Darmus. Darmus was created by Corox and given to his children: Relic, the god of all that is good and just, his brother Tamerus, the god of balance and neutrality, and their brother Artifactus, the god of all that is evil hate-filled serve as the masters of this world. Lesser gods like Drago, the god of war, Sarittis, the goddess of the four winds, and Vortex, the god of time, helping to guide and shape this new world filled with Elves, Humans, Minotaur, Dwarves, Dragons, and so much more. Dive into this world of fantasy and myth as we shape the history of Darmus and watch as heroes rise above and beyond and villains strive to unravel all that is in place. In Dragons and Warriors, fantasy and adventure come to life like never before! Here at DW, we know that things can’t happen without support. 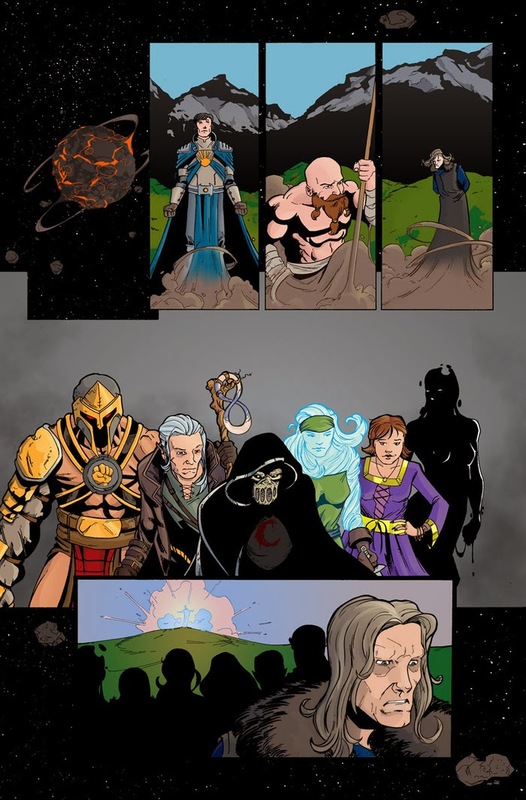 For the past several years, we’ve been hard at work developing, what we think, is a very unique card game and comic series to help bring this world to life and immerse our players and readers into a world they can be invested in and love. We have rich character development and a very sound story that takes place over the course of 5 issues , and also crosses boundries into our card game. 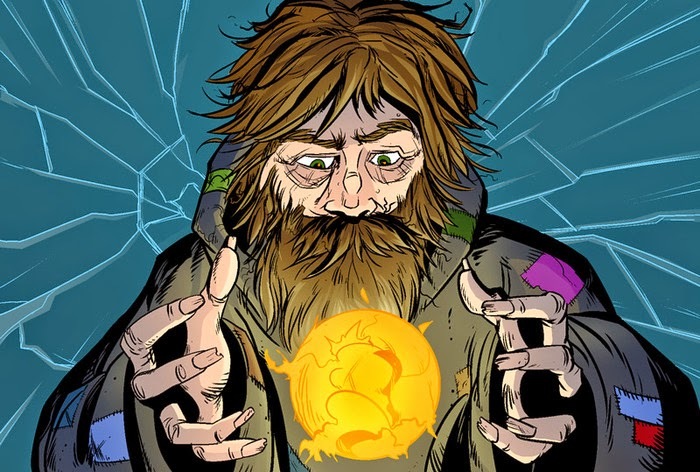 Our story starts in the past, as we learn about Allusion, the most powerful wizard in all of Darmus, as he begins to create a device that will grant him the ultimate knowledge: words with the gods themselves. Little does he know that this device, the Shield of Eternity as he calls it, is actually opening a gateway that has long been closed, and is ready to be opened. Artifactus has been imprisoned for thousands of years, with but a small glimpse of Darmus to drive his hatred for his brothers further. Allusion’s creation of the shield not only allows Artifactus access to the world of Darmus in a way he never had before, but also sets in motion events that will forever change the course of history for our heroes and villains in Dragons and Warriors. With interior artwork by Eric Weathers (Flying Fortress), we’re giving you top-notch storytelling, both visually and in script, written exclusively by DW creator Tim Morse. With the help of Jim Lawson (TMNT) and Darryl Banks (Green Lantern), we here at DW are hard at work to make sure you get the best you pay for. To read more about it, visit their Kickstarter page here.